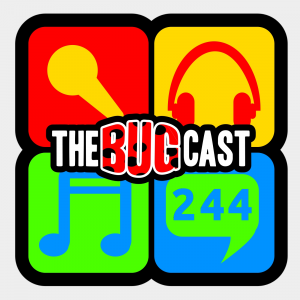 This week on The Bugcast: violent crime, distinguishing trademarks, and our usual mix of 8 fantastic independent and Creative Commons tracks from The Madpix Project, This Public Life, Zamza, Tyler Adam, Hero The Band, Fuse, Tarra Layne, and Kassy Key & The Raindoggs. This week, we review Eurovision and Doctor Who, discuss the response of social media in light of recent news events, and play some great Creative Commons music from Great White Buffalo, The Crawls, Flat People, Anitek, Kassy Key & The Raindoggs, Leo Bowers, Tamara Laurel and Retropolis. This week, we reflect on the big global news story of the week, and play 8 rather fantastic, although somewhat quirky tunes from On Returning, Kassy Key & The Raindoggs, NO, Birdeatsbaby, Trifonic, The Medics, The Ease Down and The Way I Am. We start the new year with our usual blend of music and hysterics, with happening over Christmas and New Year and 8 rather brilliant pieces of music from Studebaker’s Blacksmith Shop, Sunwill, Kassy Key & The Raindoggs, PeerGynt Lobogris, Unfactory, The Ease Down, Lindalou and Michael Ryge and Sickbag.